The Health and Wellness world has been flooded with ‘new’ approaches to health and well being. Many of you have probably seen or heard the terms Qigong, Chi Gung, Tai Chi Chuan, and/or Taijiquan in fitness magazines, gyms, and wellness centers everywhere, or even on television commercials. What do they mean? What are they? They sound like Chinese restaurant items. Can I get them to go? Very simply, Qigong and Taijiquan are movement exercises based on the principles and concepts at the heart of the 5,000 year old tradition of Chinese Medicine. In that tradition, the body’s innate intelligence (homeostasis in Western terms) understands what optimal health is and always seeks to maintain that state. Even if you are unaware of accidentally cutting yourself, your body will immediately set into motion the healing process. Much like the needle of a compass always seeking north, the body always strives for its innate understanding of health and balance. Sadly, WE are the ones who get in the way of that optimal state understood by the body. Put an obstruction in the way of the compass needle and it will still try to point north. Remove the obstruction and the needle returns to North. The body, in its attempt to maintain homeostasis, will compensate for dysfunctional lifestyle choices for only so long before problems manifest. In the Chinese Tradition energy is referred to as Qi (pronounced – ‘chee’). In other traditions it is referred to as ‘ki’, ‘prana’, ‘life force’, etc. The concept is the same regardless of the tradition. One of the easiest comparisons is that of Qi and electricity. Electricity, when flowing through a light bulb causes the filament to produce light. When the filament breaks, the glass enclosure shatters, the wiring becomes disconnected, or any of the other factors required for the light bulb to support the flow of electricity fail, the bulb, in effect, dies. The electricity however, returns to its source and is not affected. Electricity is either 'on' or it's 'not on.' It is never 'off.' Although we understand electricity via its uses, it remains a mysterious force of nature. So it is with Qi. In the Chinese Tradition, as long as your body’s channels and pathways are opened, and the Qi is allowed to flow smoothly, you will enjoy good health. Disease occurs when the flow of Qi is impeded and cannot nourish the system much the same as our blood nourishes every cell of the body. Qigong (pronounced – ‘chee gong’) literally translates to ‘energy work’ (Qi = energy, Gongg = work, or time devoted to a skill). The earliest record of movements for health purposes was a folded piece of silk found in the coffin of King Ma (ca. 168 B.C) on which was drawn four horizontal rows of eleven figures each, forty-four in all. Depicted on the silk were all the bbasic postures and breathing postures of current Qigong. But movement exercise for health and balance had been practiced long before this discovery, and can be traced back to some of the earliest Dynasties of China. Many of the earliest Qigong forms were based on the movements of individual animals – Deer, Bear, Crane, Monkey, Tiger, etc (Formalized as the ‘Five Animal Frolics’ by the ‘Divine Doctor’ Hua To during the Han Dynasty 206 BC – 220 AD). Although there are literally thousands of individual Qigong Forms, or exercises, the principles are consistent regardless of the style. Qigong teaches how to return the body to correct structural alignment; opposing gravity properly which results in stronger, denser, and overall healthier bones. As the body returns to proper alignment, areas of chronic muscular contraction are located, and one learns how to release the excess tension most carry with them daily. Qigong teaches proper breathing which allows the entire body to switch from highly excited and over stimulated adrenal-based breathing patterns to more relaxed, calmer endorphin-based breathing. Qigong retrains the body’s bio-mechanics. Most muscular problems arise from improper movement patterns. Be it bending and lifting improperly, sitting incorrectly for extended periods, or throwing out that back for no apparent reason, improper bio-mechanics is usually the culprit. The Qigong Forms (exercises) are simple, and initially extremely low to no impact movements that can be learned and performed by anyone regardless of their age and/or fitness level. Qigong can be performed in either standing, seated, or even lying postures. There is even motionless Qigong. But don't be fooled, there are styles of qigong that will rival any for of intense workout out there today. Taijiquan (pronounced Tai – ‘tie’, ji – ‘gee’, quan – ‘chewon’) compared to Qigong, is probably the more familiar of the two activities. The early morning scenes of hundreds of people performing the fluid, dance-like movements of the Taijiquan Form in the town squares and parks of China conjure images of peace and tranquility. And basically that is what Taiji is – a series of individual postures that, once learned, are to be executed in a slow, fluid, and connected manner. Taijiquan literally translates to ‘Grand Ultimate Physical Culture.’ Taiji shares the same concepts and principles as Qigong, and one can view Taiji Forms as long Qigong Forms. But Taiji has broader applications as it was attributed to being founded by Zhang San-Feng (born April 9, 1247) as more of a martial art. The graceful movements, when cultivated through years of dedicated practice, can be utilized as one of the more deadly martial arts. 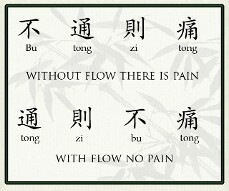 Different families (Chen, Yang, Wu, and Sun, being the basic four) developed the different styles (interpretations of basic postures common to all styles) of Taiji that have been taught over the years. Each style has its own unique variation but, as with Qigong, all styles are based on and utilize the same basic principles. "I don’t know anything about either Qigong or Taiji. Which one should I start with?" You will, or should be learning the same concepts and principles regardless of which you choose. However, due to the sometimes overwhelming nature of learning the Taiji Form without any previous experience, we suggest that you begin with Qigong. The movements/exercises are easier and shorter, and usually consist of balanced movements utilizing both sides of the body. But at the same time you will be learning everything you’ll need to make the smooth transition into learning Taiji should you wish to expand your studies. Traditionally Taiji forms are taught to one side and after learning an entire set, the movement are preformed to the opposite side. It’s easier to learn a ballet if you already know how to dance. "Do I need to study both?" That depends entirely on your goals. Some people, after spending the necessary time to cultivate their Qigong, don’t have the desire to continue on and learn Taiji. The benefits don’t lie in the particular art studied. The benefits are derived from the time, energy, and commitment invested in your practice, and more importantly, how you incorporate what you've cultivated into your daily life. As with any beneficial personal development undertaking – you get out of it what you put into it! "How long will it take before I start seeing results?" "I’m a practicing martial artist looking to further my studies will Qigong or Taiji enhance what I already know?" Yes. 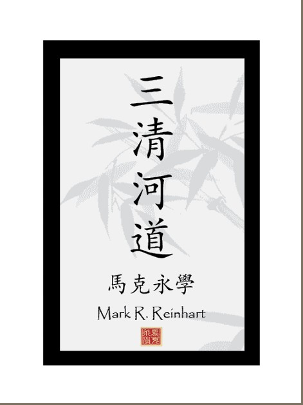 The Chinese Arts and can enhance and supplement any practitioner’s knowledge regardless of their style. "Is this just another exercise fad, or is there really something to it? Is there any medical evidence that this stuff works?" Fads usually don’t last for 5,000 years. But the only draw back is that it takes time to realize the benefits offered by Qigong and Taiji. The unwillingness to take the time to cultivate things is turning into the downfall of today’s fast-paced, quick-fix, ‘I-want-it-now’ society. But even taking into consideration the instant-gratification aspect of human nature, we’re still talking about Qigong and Taiji after all this time. Must be something to it! Research is constantly being conducted as to the viability of Qigong and Taiji as Complementary Modalities. It is our goal to change the word ‘Alternative’ into ‘Complimentary.’ The fusion of Western Medical technology and research with the 5,000 year old Tradition of Chinese Medicine can hold the future for true health and wellness of our society – body, mind, and spirit. "I’ve seen Qigong and Taiji before and they look really, really slow. I don’t see how they can be beneficial or even considered workouts." Don’t be deceived by the soft and slow appearance of Qigong and Taiji. These deceptive movements can provide more of a workout than one would expect. And once the principles of alignment, movement, breathing and relaxation have been cultivated, the forms can be used as strength training regimens. Qigong / Taiji teach slower and deeper abdominal breathing therefore increasing the amount of oxygen as well as stimulating the endorphin-based parasympathetic nervous system to promote healing and repair. Qigong / Taiji’s slow expanding and contracting nature of the movements result in the opening, relaxing, and subsequent releasing of muscular contractions, as well as tonifying and lubricating connective tissue (tendons, ligaments, joints). Plus the movements promote better circulation and nerve function. Qigong / Taiji’s slow movements allow you to focus on proper bio-mechanical utilization of the body. Once understood on the experiential level, there is less risk for injury when speed and weight are added as they would be in more active (Yang) exercise regimens.